QPay, a company that does ticketing, memberships and merchandising for university societies has recently managed to convince various Cambridge societies to use their platform for ticketing. For example, several College Balls such as Churchill’s Spring Ball, Hughes Hall’s May Ball, Trinity Hall’s (canceled) June Event, Christ’s May Ball, Newnham Summer Soirée, Pembroke’s June Event, Sidney Sussex’s June Event, Darwin & St. Edmund’s May Ball and Wolfson’s May Ball are all using QPay for ticketing this year. 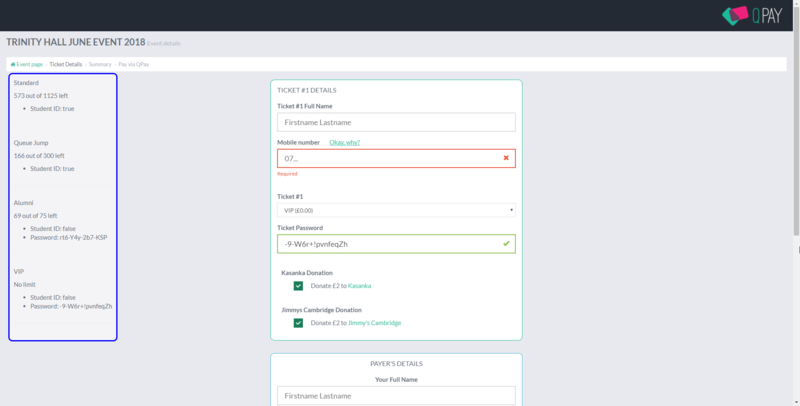 These events rely on various mechanisms to check eligibility for various ticket types such as college student, university student, alumni and other special ticket types. These include email address checks and ticket passwords to buy various tickets. And they all fail in spectacular ways, relating to the title of this post, and that is all form validation is done client side, and (almost) none on the server side! This means you can input any data you want, and QPay will happily accept it. I have to preface this with another flaw, which is even if email address validation is done server-side, QPay does not verify ownership of the email address (via a confirmation email or something similar) and instead uses your phone number as your account, which means there is no need to put your own email address and you can impersonate other people. QPay has implemented three ways (that I’ve seen) of checking if an email address is on an approved list. 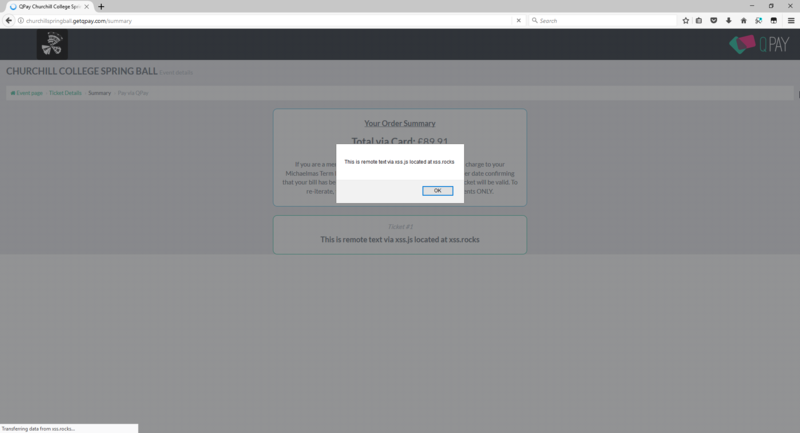 Since validation is done client-side, this only serves to provide a hint to the user that the email address entered is not on the approved list. Or, you could just skip all of that and go straight to https://pembrokejuneevent2018-event.getqpay.com/start. Some events have passwords on certain ticket types. Passwords are embedded in plain text on the page. Simply copy password from page source, or remove validation code. Input is not sanitized, XSS attacks are possible. Potentially possible to gain access to society portals by stealing cookies. 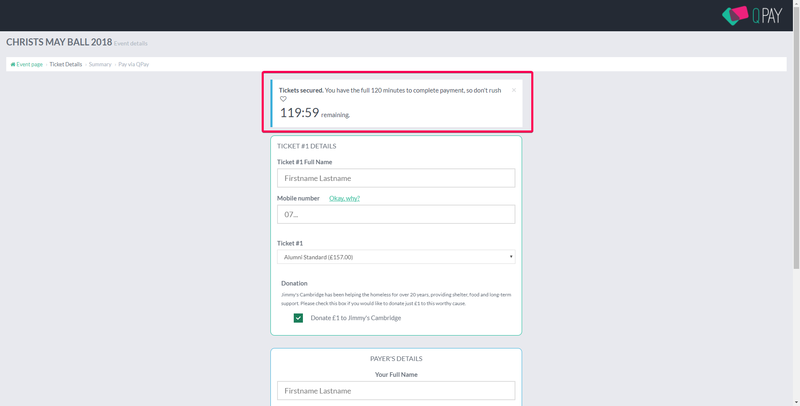 If event has limited number of tickets, it is possible to permanently reserve any number of tickets by changing the ticketholdingtime parameter and adding as many elements to the tickets array. Event ids are sequentially numbered. 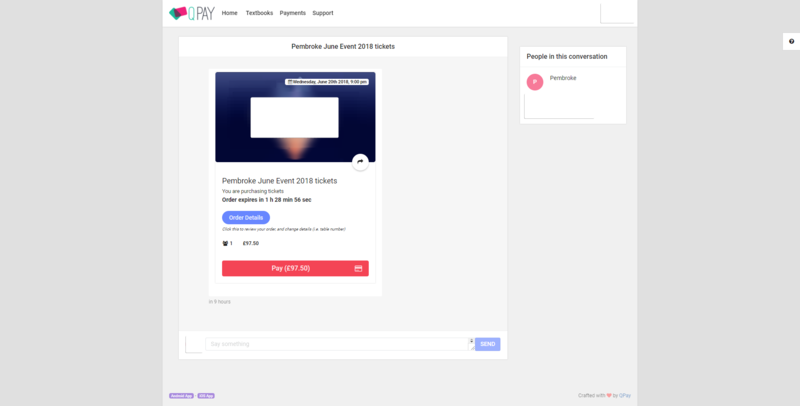 It is possible to enumerate through all ~3100 events as of the writing of this post and discover all of QPay’s events, even though QPay seems to treat the event URLs as a form of access control. Ticket ids are sequentially numbered. Ticket QR codes are just ticket ids. Since most university networks are behind NATs, if QPay decides to ban your IP address, they may inadvertently ban the entire university/campus from accessing their site. Various bits of PoC can be found over at https://github.com/cheahjs/qpay_bypass, and a userscript for ticket details and removing client form validation. BfUpdater is the backend app that updates the bravefrontier_data repo and /r/bravefrontier’s sidebar, and also acts as an IRC and Discord bot. The entire thing is written in C#, but a constant pain point was deploying to Mono. Take the Discord.Net library for example. WebSockets as used by Discord.Net is broken by newer versions of Mono, requiring a downgrade of Mono, and newer versions of Discord.Net are completely non-functional on Mono regardless of workarounds. Finding newer versions of libraries that were used that support .NET Core was ok for the most part. The only library that I used without .NET Core support was SmartIrc4Net, but since the #bravefrontier channel was pretty much dead, I just removed the IRC code completely and didn’t worry about switching to a new library. This was where all the fun came from. The code made extensive use of WebClient, which is gone in .NET Core. So, after writing a bunch of extensions for HttpClient and a bit of regex search and replace later all the network related code was running again. One of the harder things to account for was the removal of System.Diagnostics.StackTrace, which I used for logging method names by looking for the log’s caller. Instead of trying to parse the output from Environment.StackTrace, I decided to make use of Microsoft’s ILogger and deal with the fact that my logs no longer have method-level names, but only class-level names. Official changelog can be found here. Lore: A young girl from the mysterious world of Paskua who looks suspiciously like a rabbit. 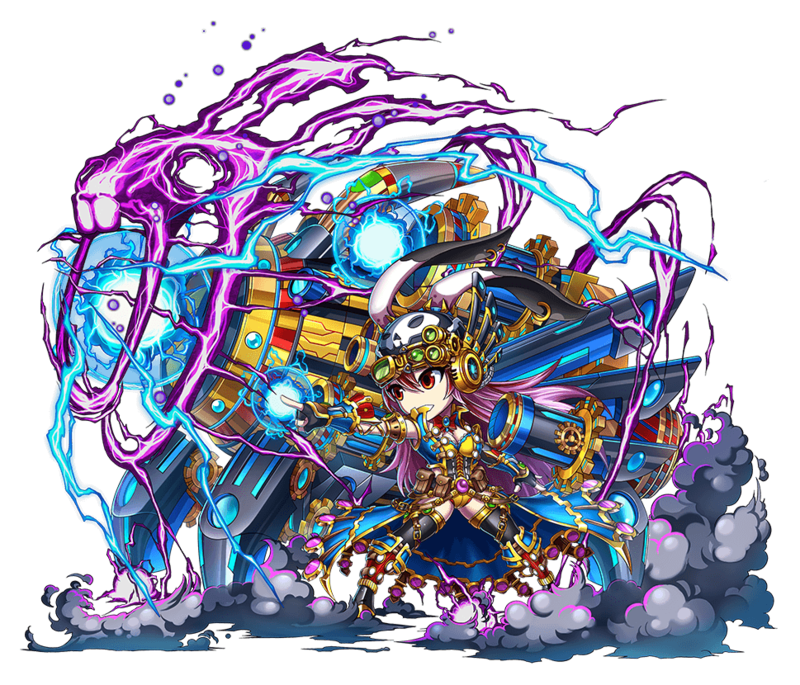 Bonnie became infamous across Grand Gaia thanks to the immense firepower of her cannon, and her infallible shooting accuracy. Finally having gained the recognition she had so desired as a warrior, instead of being forever branded as just another cute face, she felt so relieved that she no longer felt the need to fight. However, one day as she was passing through a forest, she came across a blonde girl atop a giant rabbit who was fighting single-handedly against a ferocious beast to protect the people of a nearby village. At that moment Bonnie realized that fighting for others was just as important as fighting for herself, leading her to unload her trusty cannon to join the battle. She then modified it with hare-like speed, creating an entirely new machine in a matter of seconds. Legends say that the plasma blast she shot at the menacing beast was so powerful that it completely pulverized the monster, along with one of the mountains beyond the forest. Evo Dialogue: All this time I’ve been fighting to gain a reputation to be proud of. Now the time has come to fight for a good cause! Lore: A lovely rabbit tamer from the mysterious world of Paskua. Carrol was in the forest collecting carrots for Bianco when she came across some villagers that lived nearby. As generous as always, she immediately offered them some of the sweets in her basket full of colorful eggs only to hear them scream for help. Puzzled at their reaction, she glanced past them and saw a gigantic hare-like creature covered in a rich brown substance approaching in a frenzy. The sight of the beast surprised Bianco so that he hopped as high as he could, causing Carrol to drop her basket of eggs. All of the mystical colored eggs cracked as they hit the floor, releasing all of the magical force hidden within, and gifting Carrol with unimaginable powers in the process. Fueled by the energy from her precious eggs, Carrol faced the ferocious monster by herself until a girl with rabbit ears wielding an enormous cannon appeared to give her a hand. After they defeated the monster, the villagers showed their gratitude by presenting Carrol and her new friend with two baskets full of the most colorful eggs they had ever seen. The two ladies are believed to then have taken these tokens of appreciation to Paskua to share with their loved ones. Evo Dialogue: Ta-dah! We are back and more colorful than ever! Wow! My pigtails are almost as long as Bianco’s ears! Using the essence extracted from Chromatic Blossoms with a strange mechanical contraption Bonnie left behind, the top engineers of Randall crafted an exquisite enhancement charm. It unleashes energy in such great magnitudes that its wearer is said to become able to penetrate any foe’s armor. Chromatic Blossom - A mysterious rainbow colored flower found deep in the forest where Bonnie headed. Rumors say the essence of this flower supplies the luminous energy for Bonnie’s cannon. 60 Choco Bunnies - A pungent chocolate said to be only given to the pure-hearted young of Randall by the guardians in the skies. It is a rare and precious Item that should be cherished. Furry creatures led to wings of guardian for the kind hearted. 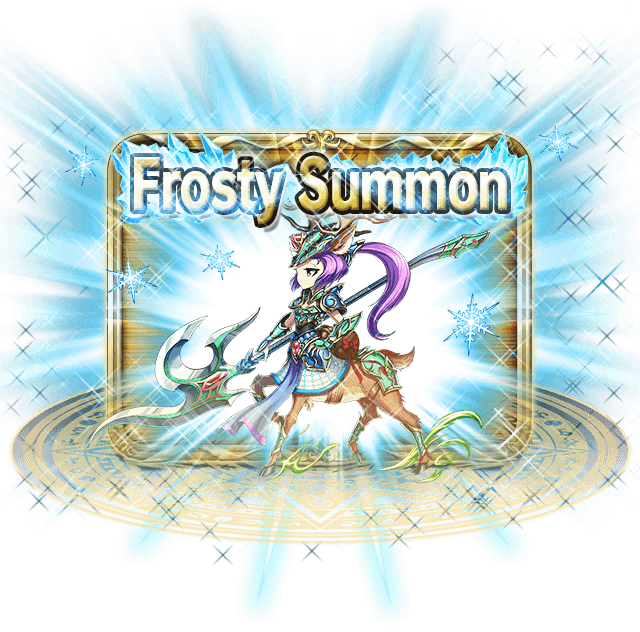 From 23 Dec, 07:00 PST ~ 30 Dec, 06:59 PST, enjoy SPECIAL SUMMON Minimum 5 stars and unlock ONE chance at FROSTY SUMMON for every 5 summons! Get Zeruiah through the Summon Gate for limited time. From 23 Dec, 7:00 PST ~ 30 Dec, 06:59 PST, enjoy minimum 5 stars and a limited pool of 15 Global Exclusive 7 stars potential units! 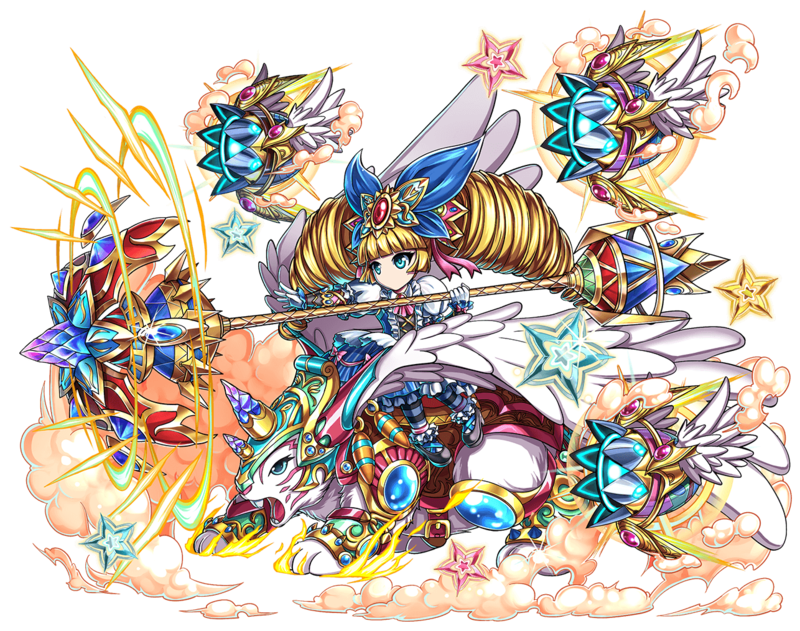 New Units: Zeruiah, Piany, Drevas and Reud are available through the Summon Gate. 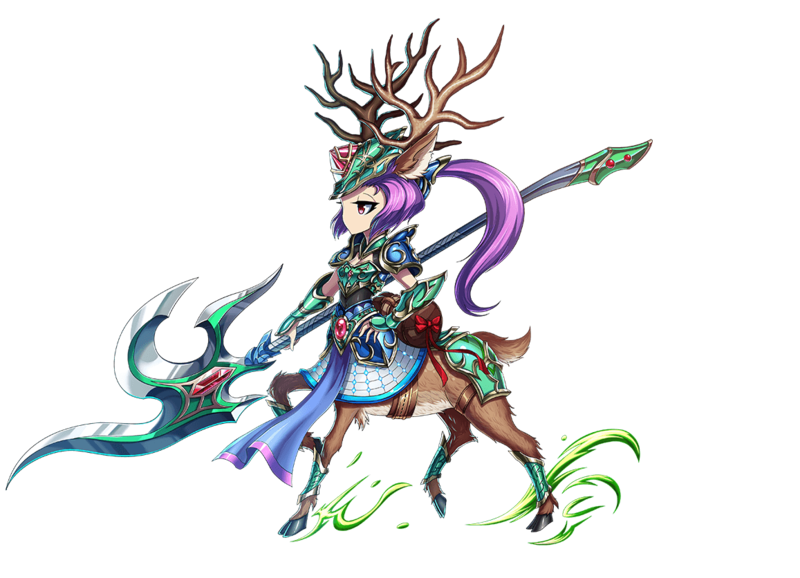 Zeruiah is only available in the Summon Gate for LIMITED TIME. 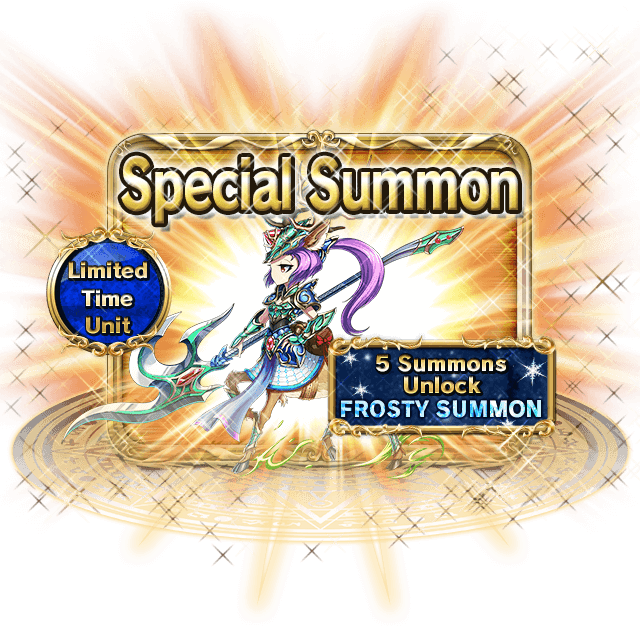 Enjoy SPECIAL SUMMON for 5 gems! Frozen Dreamland Lv. 2 - In a distant land, bright lights pulsate and melodious songs jingle away. Frozen Dreamland Lv. 3 - The snowstorm picks up as you trudge your way towards the castle. Curiously, it seems to be nudging you forward. Frozen Dreamland Lv. 4 - As you approach the artic castle, a shadowy figure watches over you from the top of the tower. What surprises await?. Both Glittering Wintertide and Winter Glades Blitz will be open for 1 week. 5* Lore: In the snow-bound mountain region of the far North, there exists an impossibly lush and bountiful Vale. Legends tell that in ancient times, a gigantic floating tree drifted in the skies for a hundred years before disappearing. Frozen creeks transformed into flowing rivers, temperate vegetation sprang forth in a mystical miracle. The Vale became a bastion for various wildlife and a host of Fae spirits. The Fae were good-natured, innocent and made the woods ring with merriment everyday. However, a great danger loomed over them in the form of invading goblin hordes that were attracted by the food as well as magical energies of the Vale. The Fae were no match for the savagery of the goblins and were driven back. In their dark hour, they congregated at a massive tree that had sprouted at the center of the Vale and began chanting, thousands of voices soared in harmony. Their myriad of wills and desires for a savior and guardian culminated in a blinding pillar of turquoise light that sundered the clouds high above. The final manifestation of this bewitching event was a mythical deity brought to life. She was known as Zeruiah and all Fae unanimously bowed before her. 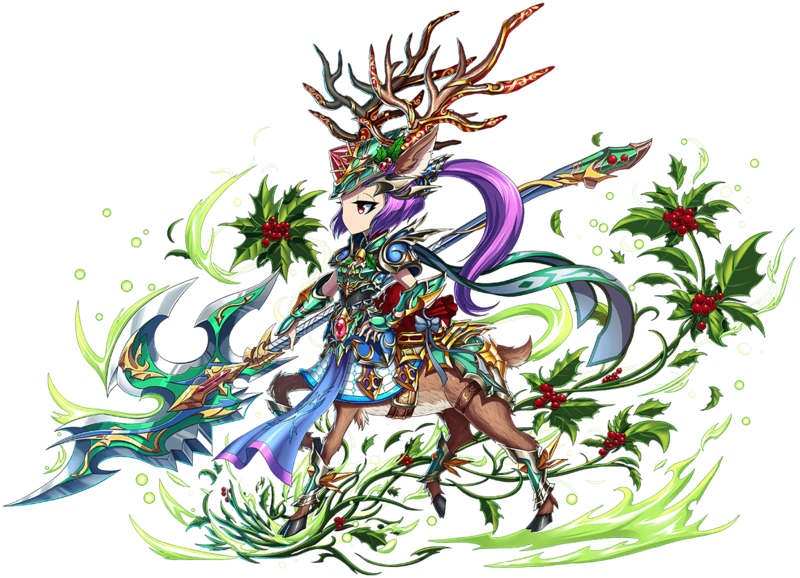 6* Lore: Zeruiah was one with the Vale. With the Fae rallied behind, the deity turned wildlife, plants and the very elements against the goblin invaders. Trees uprooted into towering treants that smashed the puny humanoids by the dozens. Stags and boars charged and impaled any greenskins that survived the onslaught of mighty Earth and Water elementals. In one fell swoop, the goblin swarm was defeated and routed out of the Vale. Drawing on her divine powers, Zeruiah erected wards and summoned raging blizzards that would keep out evil monsters. For countless millennia, the Vale flourished and expanded under the protection and rule of Zeruiah. The Fae channeled and constructed majestic Vaults in which they stored all sorts of treasures, tomes and artifacts collected or crafted over the ages. Knowledge of these Vaults gradually leaked to the world outside and many civilizations sought to gain entry into the Vale, fueled by greed and curiosity. From historical records, none made it in. 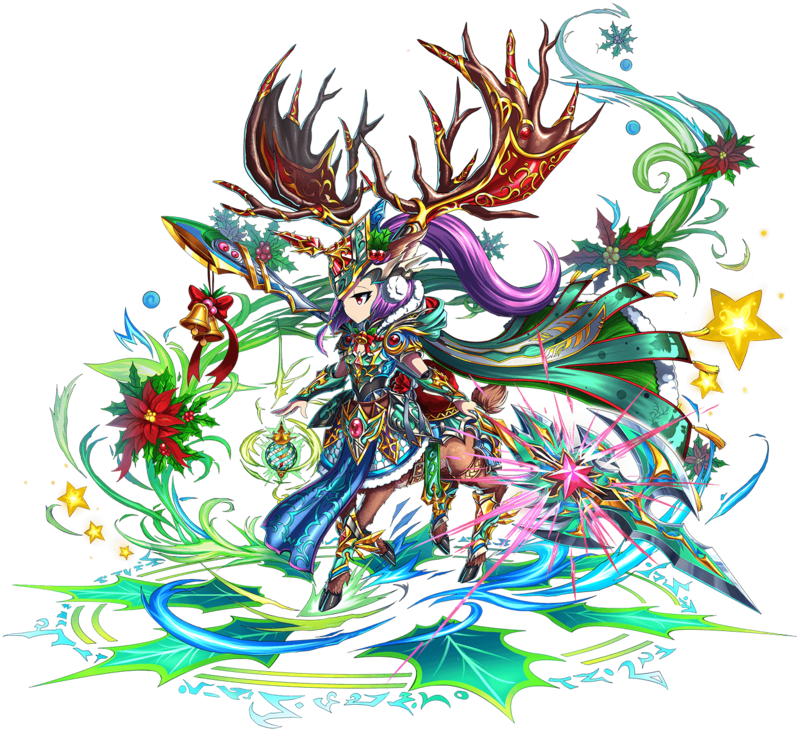 7* Lore: An Eternal Preserver of all the treasures and knowledge of the Vale in the far North, summoned at the behest of the Fae to rule over and protect the land. One day, Zeruiah discovered that a small girl had somehow gotten pass the wards and gained access to the Vale. After observing the girl for days, Zeruiah grew fascinated at how such a young human was able to command the snow and ice. The Fae and animals initially assisted the girl with sustenance at Zeruiah’s command, but eventually she was brought into the heart of the Vale. Despite her mistrust of humans, Zeruiah grew to love the girl, training and watching her grow up. Through this encounter, Zeruiah saw that not all humans were evil, and began opening up the Vale to druid tribes and scholars sent by Human kingdoms once every year - marked by a Fae festival called Hanukkah. Long deemed unconquerable by mere mortals. The stone was lost to the deep wintertide. In one of the coldest winters known to date, it was discovered by a duo who came across it in a forgotten cave, as if being called out by it. Both were immediately ensnared by its power and a great battle for ownership ensued. In the morning, only one walked out of the cave. The direction taken, however, was not towards home but deeper into the wintertide. Normal hit DC increased from 3 to 8 (Max BC Gen from 12 to 32). BB - Max BC Gen increased from 12 to 48. SBB - ATK Down chance increased from 30% to 50%. SBB - HP% to ATK conversion increased from 10% to 15%. UBB - ATK Down increased from -50% to -75%. Normal hit DC increased from 1 to 2 (Max BC Gen from 10 to 20). BB - BB Fill/turn increased from 4 to 6. SBB - BB Fill/turn increased from 5 to 6. UBB - Attacks are now 1 frame faster to activate.